It is the perfect excuse for me to hunt for a new affordable foundation! 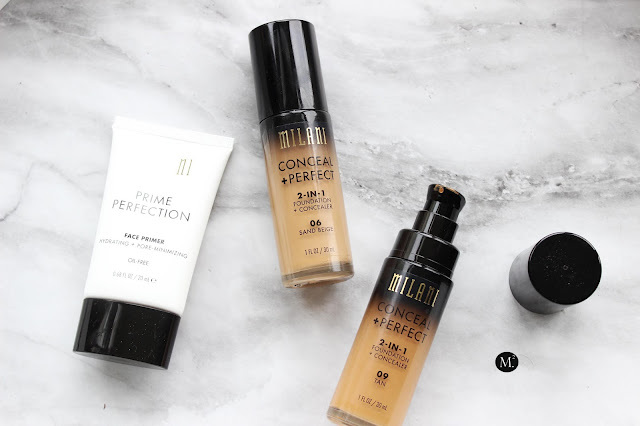 I first heard of the MILANI Conceal + Perfect 2-in-1 Foundation from Tati (beauty vlogger). As the name states, it is a 2-in1 product so you really get a good deal out of your money. The foundation retails for $9 USD and can be found from www.ikatehouse.com, but I purchased mine from La Femme Beauty for $21 NZD. 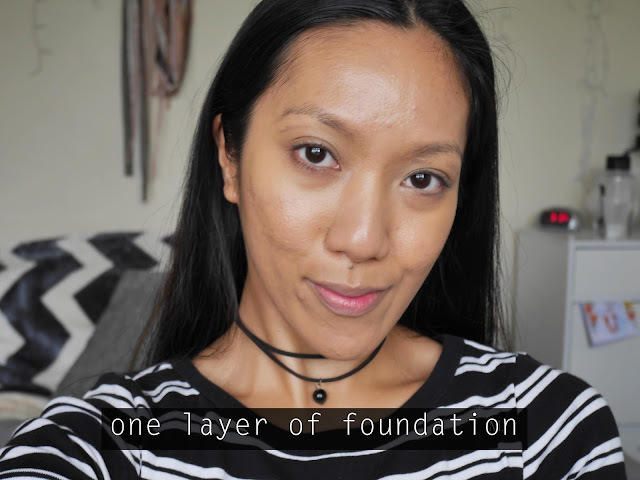 It comes with decent shade selection with mostly yellow undertone so this foundation is great for all my olive skin tone ladies and women with color! 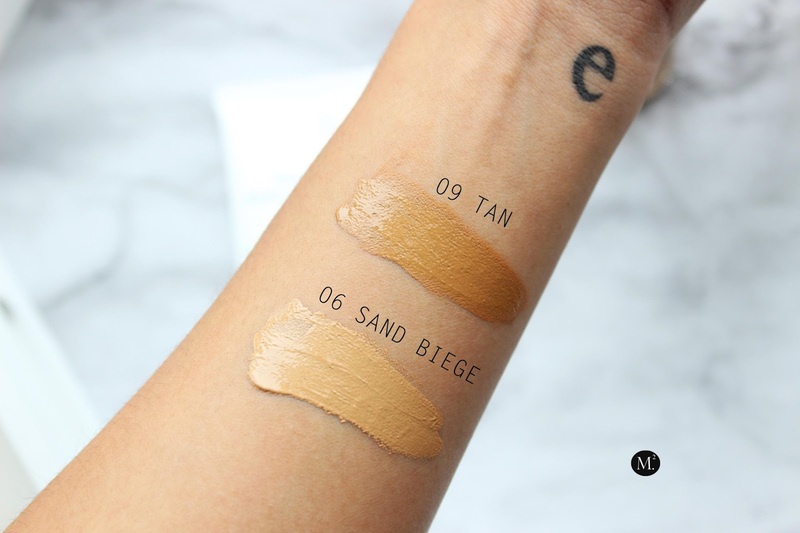 On shade selection, I could not identify which shade matches my skin tone the most so I ended up purchasing two shades - Sand Beige 06 and Tan 09. FORMULA: The formula has a mousse-like texture which is very thick and full on pigment. Based on my experience the formula does not oxidize which is absolutely amazing! 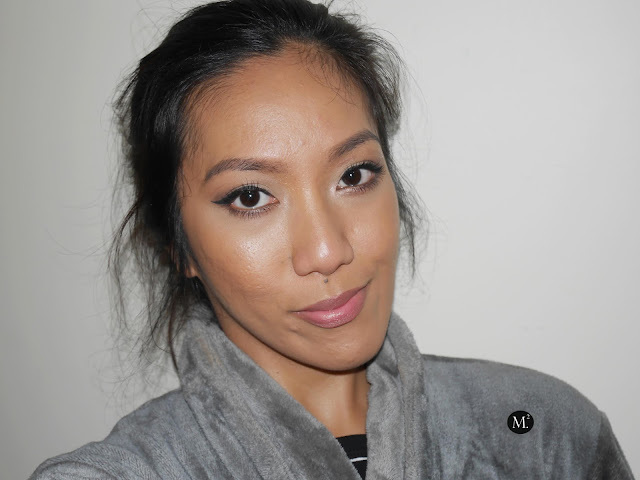 It gives the most full coverage for a drugstore foundation! A pea size is enough for the entire face + extra concealing. Going overboard may cause cake face! CLAIMS : Water - resistant, long wearing, matte finish, lightweight. Upon applying, I have noticed that the product blends real easy especially when using a sponge. It covers any dark spots and redness with one layer and immediately creates a full coverage flawless base! Though the formula is a little thick, it does not feel heavy or too much on the skin which I enjoy. I have extremely dark purple under eye circles, and it covered them pretty well without hugging my fine lines. As for it being water resistant, I cannot attest to that claim as I have not been anywhere near a pool, beach, sauna. PACKAGING: I truly enjoy the packaging the most! The product comes in a glass bottle with a pump! 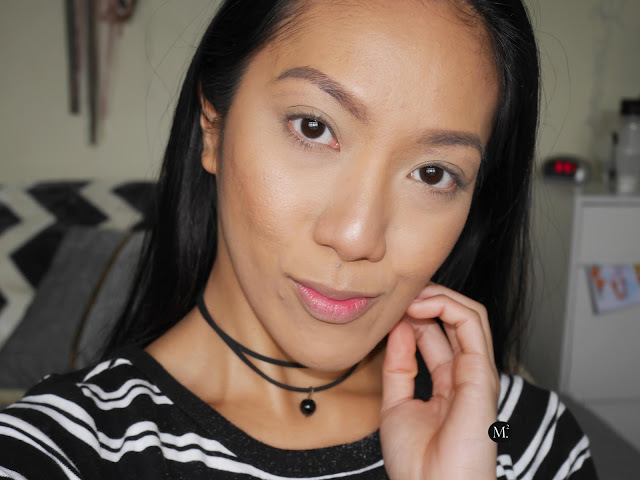 Now for a drugstore foundation, that is a big HIT! Easy to dispense and above all, it is mess free! Only downside is travelling as it can break or splatter which is not ideal. I suggest wrapping it in a bubble wrap or sellotape the lid to avoid any spillage. APPLICATION: I used my beauty sponge as it is my go-to full coverage foundation applicator. It gives me the best coverage without making my foundation look gross and thick. It also helps blend the foundation to my actual skin tone, which appears to be more natural as opposed to it sitting on top of my face. 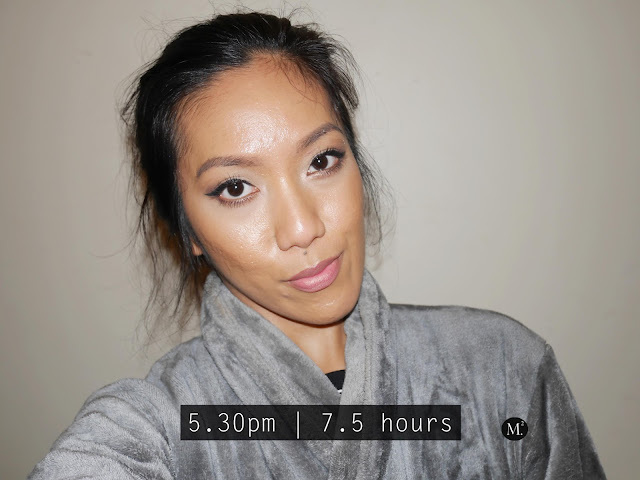 To set, I used my trusty translucent powder as per usual then call it a day! 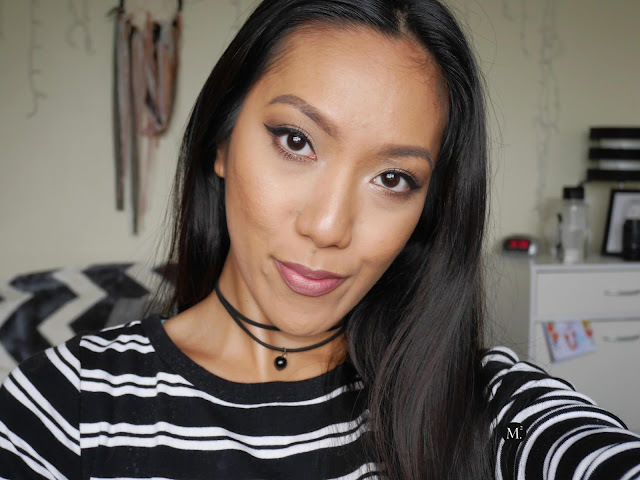 LONGEVITY: It definitely did not stay matte all day long! After 5 hours, my natural oils started to peek through and my face felt so thick and itchy! The nose area is slightly separating which is a big NO NO for me especially for a full coverage foundation. And that happened with me just chilling around the house! So I can say that this foundation won't hold up on my face through humidity and heat which I'm really bummed about. Though coverage wise, it still covered my acne scars which is impressive! Bare skin without any primer. 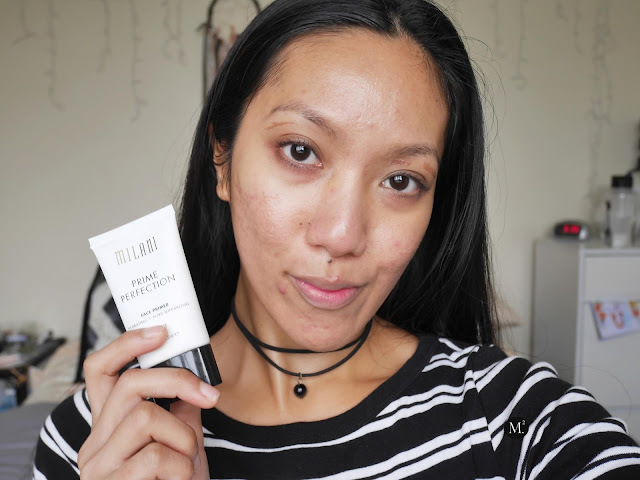 To go with the one brand type review, I went ahead and purchase the MILANI Prime Perfection Hydrating + Pore Minimizing Primer. The texture of this primer is of a gel cream form which glides into the skin smoothly. 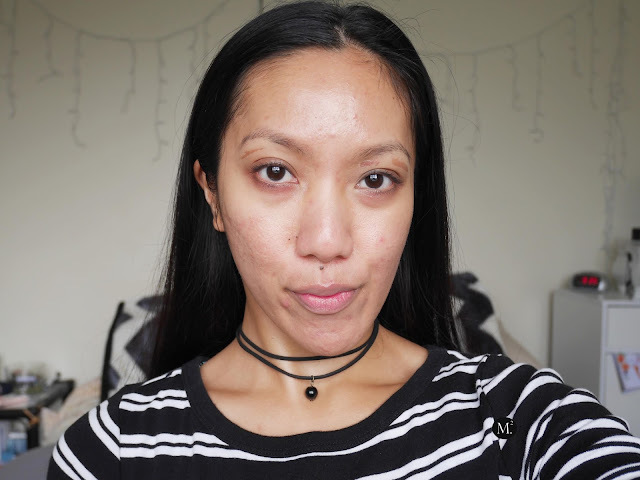 As for being a pore minimizer, I didn't notice a major blurring of my pores. The product comes in a squeeze tube which is a plus! It has 20ml product, however I feel like it does not have much product in the tube. Whenever I squeeze the product out of the tube, more air comes out first before the product, so I'm a bit skeptical about that. The scent is not overly strong which I like and it fades away after a few seconds. Face after applying the primer. INITIAL THOUGHT : After highlighting, contouring, blush. I took this photo using flash photography and surprisingly enough, it does not have any white cast at all! The color match is spot on and it did pretty well covering all my imperfections. Used the lighter shade which Sand Biege to conceal my under eye are and it does not feel thick or heavy under the eyes. I also have two scars underneath my brows from waxing and it covered them pretty well! As for the primer, I'm quite disappointed because it did not do the pore minimizing part at all! I could do better with the Benefit Professional primer. But then again, it made the foundation blend well without any patchiness which is good. I think this primer would work well for someone with relatively small pores. After doing all the usual routine I normally do, here is the final look! I love how flawless and skin like it looks! The foundation is applied at around 9.50am so will see how long it lasts through out the day. Full face of makeup done! First check in after a few hours, my face got really oily especially around the t-zone. That's me lounging around the house editing and taking photos. Personal opinion, I don't see myself wearing this on everyday basis especially longer than 5 hours! It does not last at all and does not keep me matte all day long just like what other people said! Other than that, coverage is still intact and I can still see my contour so that's quite good. Second check in is 7.5 hours after application. Mind you I just woke up from a nap after taking the photo. As you can tell, my face is extremely greasy to the point where I can fry anything with it! GROSS I know! The foundation started to separate a little bit around my nose area and I don't like the feel of the foundation. My face is quite itchy, I think because it is clogging my pores and now it is starting to feel a little heavy. My contour and blush are visible but most of it has already faded. Surprisingly, the coverage is still amazing! None of my acne scars are peeking through so that's good. And finally here's what it looks like after blotting it with tissue. Still full coverage except around my nose. You can still see some of my oils peeking. 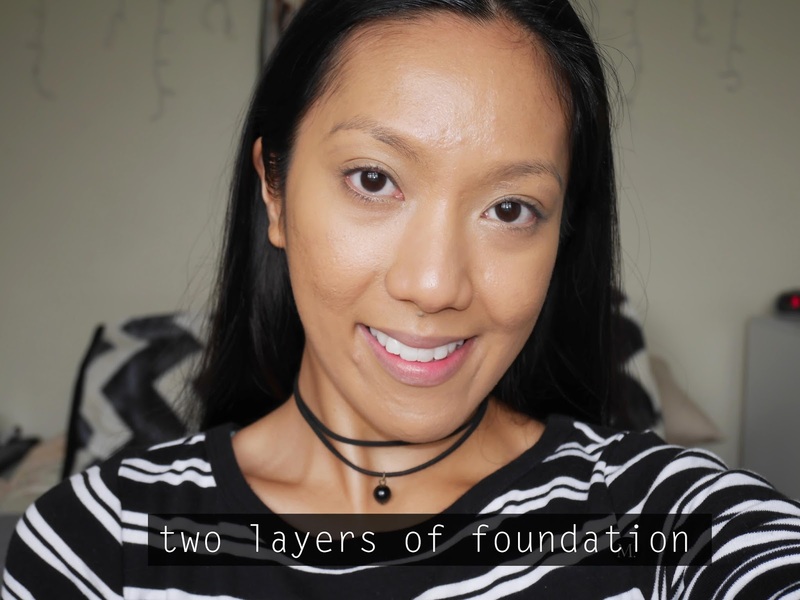 At this point, I'm really excited to just take the foundation off! It feels so thick; my face is starting to get itchier especially around my chin area. My overall and final thoughts, I would rate this foundation 6 out of 10. Coverage is perfect as it lasted for the whole 8 hours but longevity is a 4 for me! 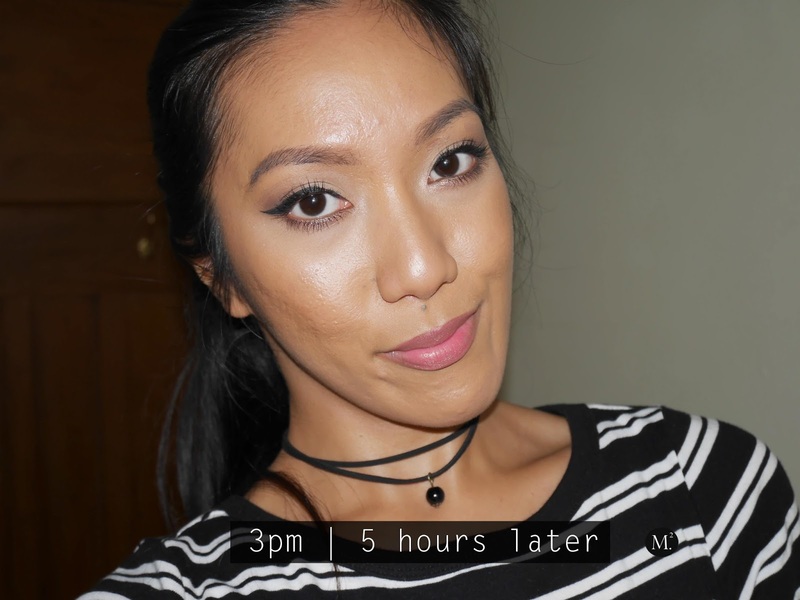 I would probably only wear this foundation if I'm only going to be out of the house for a couple of hours.